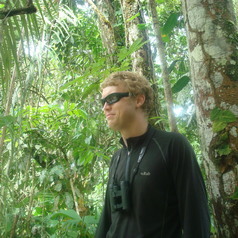 Andrew is a post-doctoral researcher in Ecology at the University of York. His research focusses on how plants and animals respond to environmental change, with a particular focus on how 'refugia' might protect species from adverse climate changes. He is also keen on developing how we use scientific evidence for policymaking, and on engaging the wider public in the scientific process.